We welcome campers, horseback riders, pilots and more! We look forward to seeing you. Our favorite offering is our horse program. You can ride for an hour or all day. Join us for our Steak Fry Ride or an Overnight Trail Ride to Trask Mtn. Camping is open year round. Grandma Barbara is cookin' breakfast on Sundays (by reservation only)! Beautiful sites for rustic weddings, company picnics and family reunions. 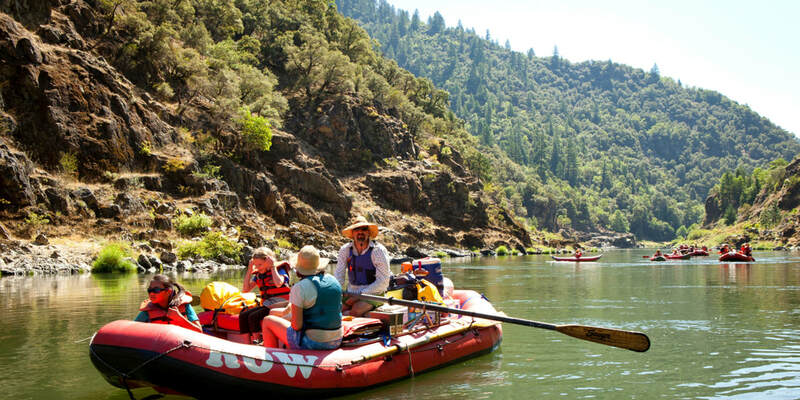 Come rediscover your soul on Oregon's Rogue River. We offer raft-supported hiking trips, camping & lodge multi-day trips, day-rafting trips & steelhead fishing trips. Rogue River rafting and hiking vacations. Lodge based, three and four day trips offering first-class guides, delectable food and quaint accommodations on the wild Rogue River. This unique camp is designed to give campers (ages 13-18) a realistic wilderness running and camping experience. To enjoy and respect wilderness beauty through running, hiking and exploring, at high altitudes are the major objectives of this camp. Group and individual instruction will be given in all areas of distance training and racing, with emphasis on performance improvement through self reliance, personal accountability and teamwork strategies. To enhance personal growth, campers must be willing to adapt to lack of urban conveniences not found in the great outdoors. Wanderlust Tours offers half-day naturalist-guided tours and trips throughout the year in Bend, Sunriver and Sisters, Oregon. Wanderlust Tours has specialized in outdoor tours, outdoor activities and things to do inBend, Oregon since 1993. Renowned for our knowledgeable and professional guides, our small group tours take you away from crowds to seek out the quiet of the Central Oregon Cascade lakes, rivers, forests, and caves.